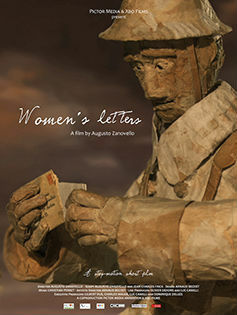 On the battle fields of the First World War, the nurse Simon patches up the shattered faces of the infantrymen with love letters. These words from beloved women have the power to heal the wounds of these paper soldiers. Simon himself seems immune to injury. Untouched by the attacks and unblemished in his white uniform. So what’s his secret ? His wartime pen friend who occupies his thoughts every spare moment he has. Knowing that she is out of harm’s way but standing behind him gives him the necessary strength to confront the daily horrors and death that war throws at him. But when death happens where it is least expected it, can these words on paper still ease the pain? 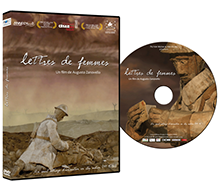 THIS DVD HAS RECEIVED "LE LABEL CENTENAIRE"